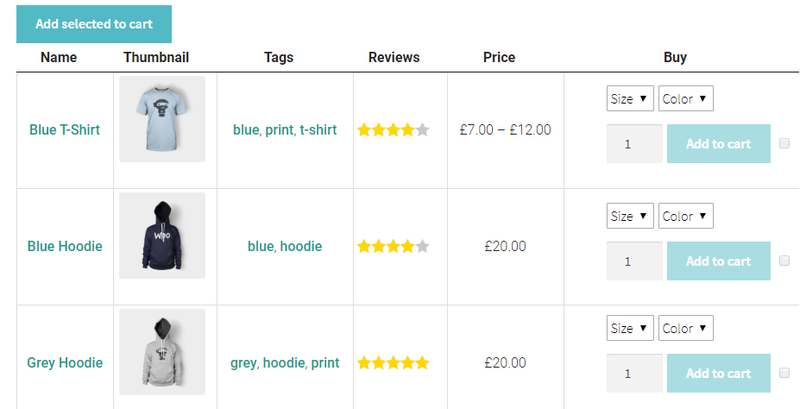 WooCommerce Product Table fully supports variable products and you are able to display them in the table. You can either display variations as dropdown lists, as separate rows in the table. This feature increases the user experience and makes navigation much more convenient. Selection of the necessary product attribute incredibly flexible and fast with the Product Table. Move to the WooCommerce Tab and enable checkbox. Add the variable products into the table in Manage Table Content. You can use Search for products to add certain items. Add the table properties (“Buy” columns is required). 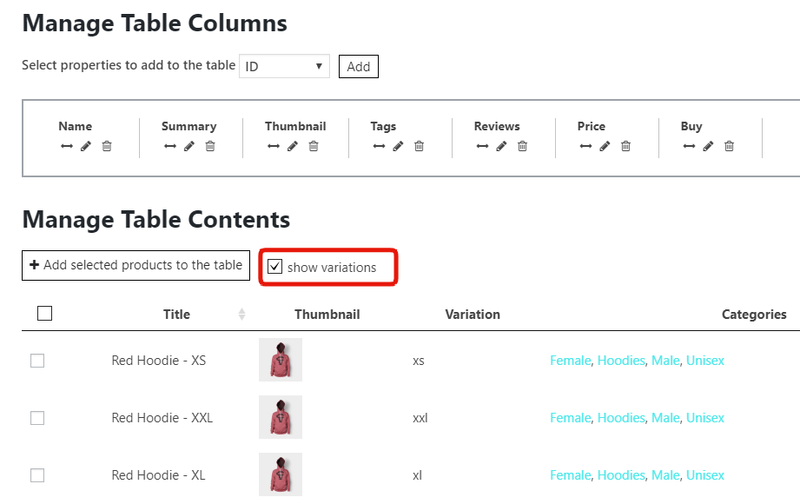 To add a product variations on separated rows – enable “show variations” option. It will subdivide the variable product into a list of separated items. Set the other settings to build a table according to your exact needs. Once you make changes in settings, you can immediately see the result in the preview – for desktop, tablet and mobile. Open the “Setting” tab and check the table. 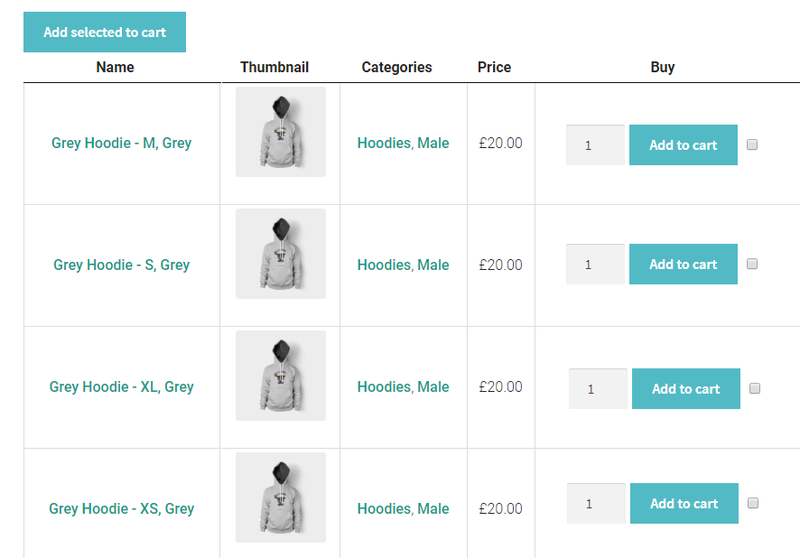 Add the Product table into website content with the help of shortcode. Look at the Product table example with variable products and pick the way to display your own products.